This new Klon Klone is showing up for pre-order in the US now! Jeorge Tripps’ pedal company Way Huge has jumped onto the Klon ‘Klone’ bandwagon with the release of a new overdrive, the Conspiracy Theory Professional Overdrive! 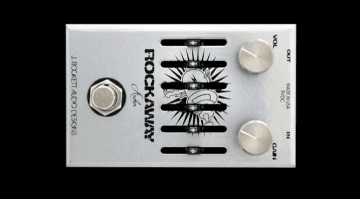 Will this be a worthy, cheaper successor to the terribly expensive Klon? 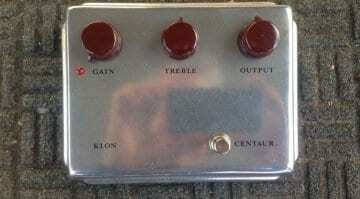 Way Huge has finally succumbed to the temptation to build a Klon ‘Klone’. The aptly named Conspiracy Theory Professional Overdrive even comes resplendent in a gold enclosure with Klon-esque dark red knobs as well. So what’s special about the original Klon? This much lusted-after, gold-boxed, mid-gain overdrive pedal is the talk of every guitar forum and has collectors and tone aficionados arguing over the relative merits of the Klon. I’ve owned a few originals and they are very nice, but I’m not sure I’d drop USD 2000 on one. But I think the original circuit is very useful. When used with a good valve amp, the Klon pedal acts in such a way as to complement your guitar’s tone, but gives it a nice boost. And that’s why originals have become very expensive in recent tears. Bill Finnegan, the original designer of the Klon, has recently started building them again and selling them one at a time via eBay. They still average over USD 2k each! 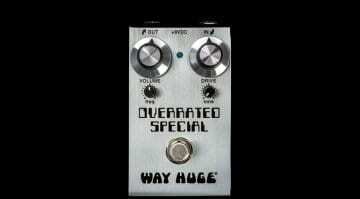 Way Huge wants to replicate the original Klon circuit for this new Conspiracy Theory pedal. The idea is to provide the same sound at a reduced price and with a smaller footprint. If this all holds true, you might get that famous Klon tone without taking out a small bank loan or maxing your credit card. With controls for Output, Treble and Gain, this new pedal looks simple enough to dial in. But the trick is to leave the gain down and push the level up. This should give you the nice clean boost that everyone’s chasing. 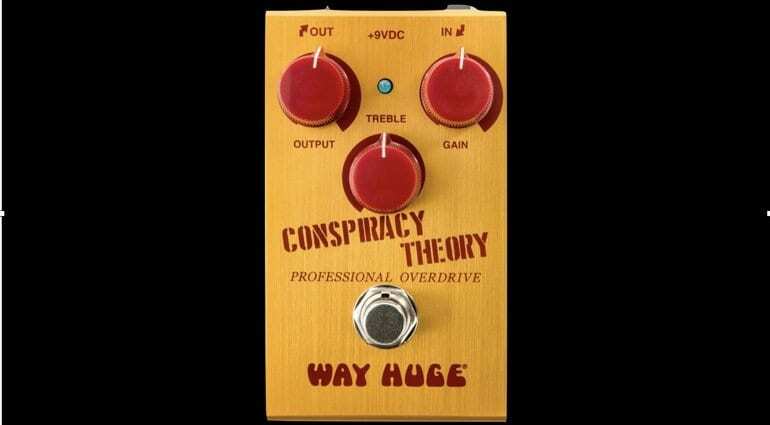 The Conspiracy Theory pedal isn’t currently showing on the Way Huge website yet, but US dealers are showing them as available for pre-order now. 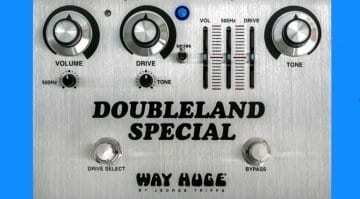 I look forward to trying one out as I liked my old Klon pedals – and I love my Way Huge pedals! There are, of course, plenty of overdrive pedals out there inspired by the Klon, like the Wampler Tumnus Deluxe Overdrive, J Rockett’s Archer, Pirate Pedals’ The Plank among many others.